This Excellence was delivered new on 25 February 1960 and its first owner, Helen Kirby de Bagration, belonged to an aristocratic Russian family who emigrated during the revolution. She was 25 years old and probably bought the car for her father-in-law the Duke Vladimir Kirillovitch Romanov, head of the Imperial Russian household and a car and helicopter enthusiast. In 1963, the car was sold to a certain M. Y. Fontana, from Neuilly, before being taken on by the Pierre Savoye Garage in 1964. In December 1964 it passed to the Baillon family and has remained there ever since. There is a photo of Jacques taken during his military service during the 1960s, posing proudly with the car in front of the family home. It retains its original ” Tudor Grey ” paintwork, and the black leather upholstery is remarkably well preserved, simply requiring a good clean. The dashboard still displays the magnificent imitation wood effect, while the roof lining has suffered from the years of neglect. The odometer reads 52 213 km and under the bonnet, an oil-change notice dating from 1965 indicates a mileage of 48 221 km. This car has thus been driven very little, but will require a thorough mechanical overhaul before being put back on the road. The boot is also very sound, and still equipped with its toolkit. 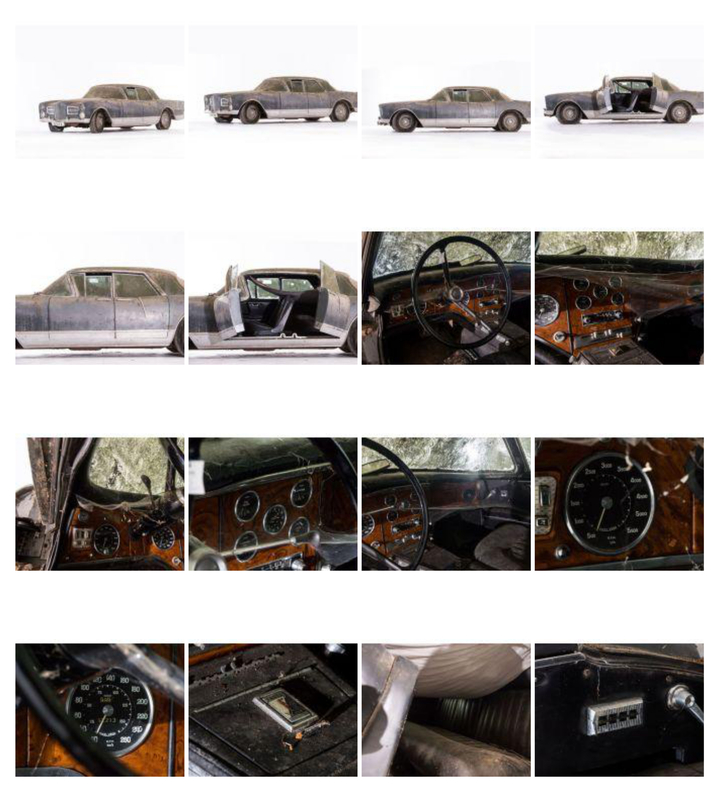 This first series Excellence, with panoramic windscreen, presents the enviable aspect of a car in original condition, that could be preserved with a discerning restoration. BC writes: It’s rare for a barn find Excellence to surface but this is definitely one of those. I’m restoring an Excellence at the moment and there is a great deal of work involved. However good the original car may be, I would suggest that for it to be an even remotely economical proposition, the price needs to be under €40,000. An Excellence in South Africa recently came up on e-Bay and OK, it was in South Africa, but it went to £64k and didn’t sell. Its buy-it-now price was £82k and it was in reasonable condition. The Baillon collection is a story in itself. Roger Baillon started a transport company using redundant allied and axis ex-WW11 vehicles, just inland from La Rochelle. It was successful, and with the profit, he bought up all kinds of car in order to create his own history of the automobile. 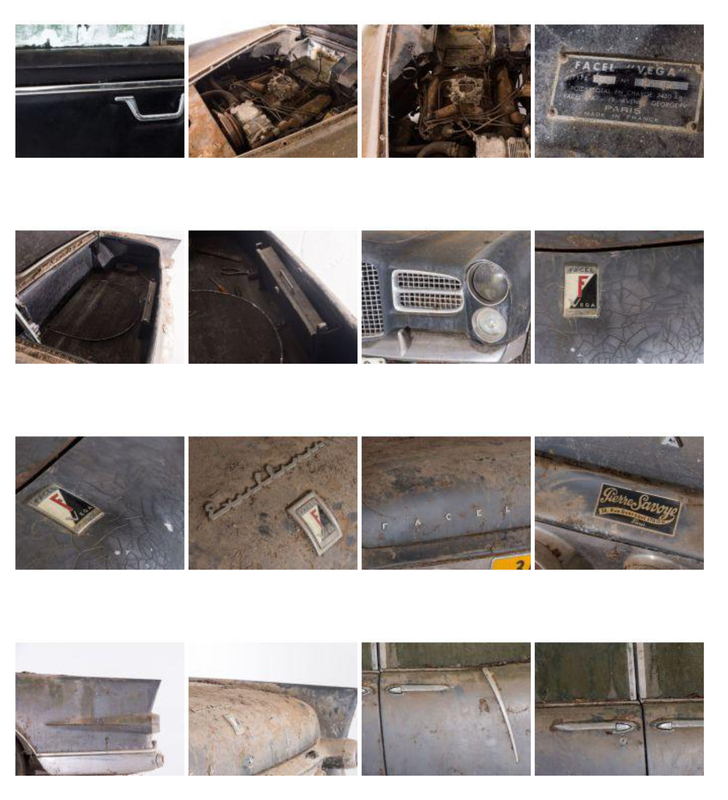 He got to around 150 vehicles when, having recently invested in new machinery in the mid-seventies, he lost his major transport contract and had to sell off a third of his collection, hiding the other two thirds which has only recently been unearthed. Of these, only the best 59 have come up for sale, the others being uneconomical propositions. 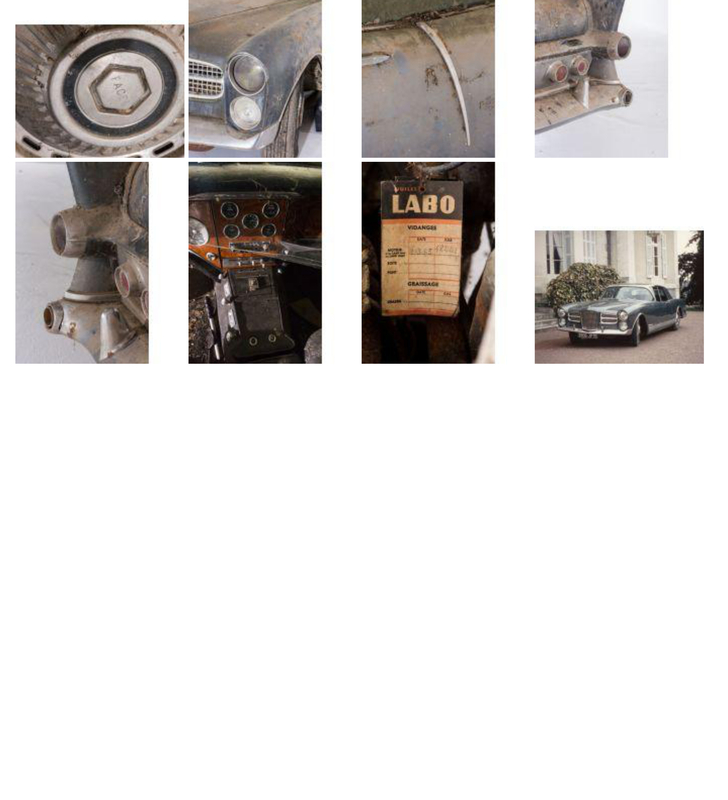 The restorables include a Ferrari, Maseratis, Lago Talbot, Hispano Suiza and many other delectable and prestigious manufacturers. If you’ve an hour or two to spare, you might like to look up the family of the original owner, Helen Kirby de Bagration, and her relative, racing motorist Jorge de Bagration who raced sports cars in the sixties and seventies. It does get very complicated, with a number of exiled royal families from Spain, Russia and Georgia inter-marrying and some of the names are mind-bogglingly long. 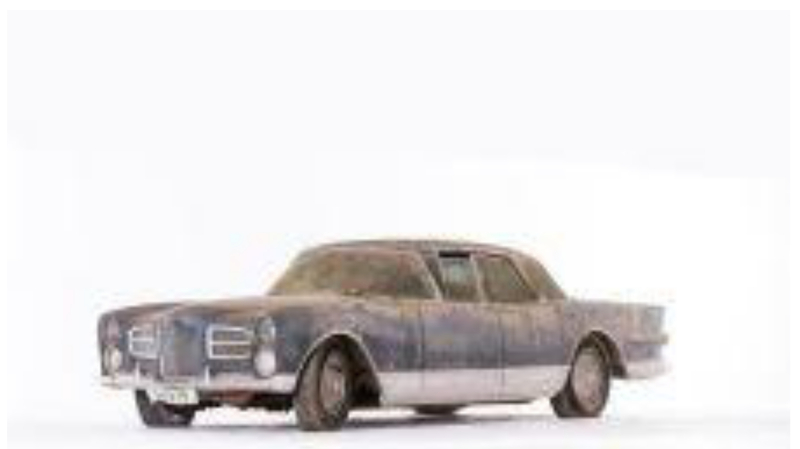 Finally, there are quite a number of interesting vehicles in the Baillon collection, and there are more in the other auction later in the afternoon and the previous day at Bonhams. I’ve doubted whether there is the cash to go round, but we shall see.